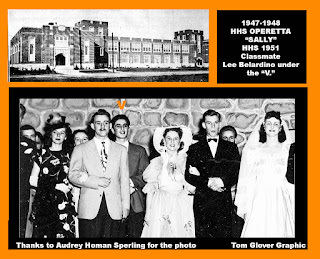 1948: MEMORIES OF THOSE GREAT HHS OPERETTAS! 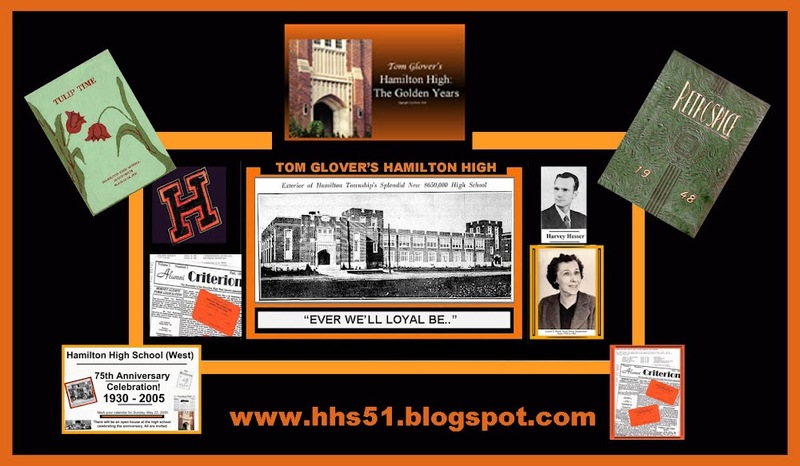 I would have been in that operetta if I was at Hamilton High in the 1947-148 era. However, in those years, my neighborhood did their freshman year at Kuser School in what was then known as Kuser Annex. This graphic, courtesy of my friend Audrey Homan Sperling shows just a portion of the cast for that great musical. My singing buddy Lee Belardino is see as a fellow freshman under the orange "v" adding his splendid tenor voice to the chorus. What wonderful memories! 2016: GOODBYES ARE SO SAD; FAREWELL HARRY! Harry Hall and I didn't re-establish contact until computer technology came on the scene. Harry surfed the web and found my Kuser School website www.kuser-school.blogspot.com and we became fast friends. 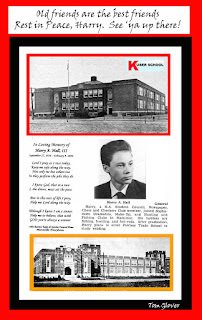 How well I remember Harry and his neighbor Marty Majarowitz walking down Newkirk to Kuser School back in the 1940's Harry and I became very close e-mail swapping friends and carried on nearly daily email exchanges until he became ill a few years ago. I will always remember Harry and his reverence for our school days from Kuser School to Hamilton High. Even though I was a couple years his senior, we had enough in common to proudly claim each other brothers,, even to our birthdays; both of which occur in September; mine on the 29th and Harry's a couple days earlier on the 27th. Rest in peace and finally free from all that pain, Harry. We WILL meet again!